Vancouver, British Columbia – March 28, 2019 – GGX GOLD CORP. (TSX.v: GGX) (OTCQB: GGXXF) (the “Company” or “GGX”) After GGX Gold released its high-grade tellurium results the company received numerous enquiries asking for information about Tellurium and its uses. COD18-67: 129 g/t gold, 1,154 g/t silver and 823 g/t tellurium over 7.28-metre core length. COD18-70: 107 g/t gold, 880 g/t silver and 640 g/t tellurium over 6.90-metre core length. Tellurium on list of 35 critical mineral commodities deemed critical to security and prosperity of the United States. Pending tellurium shortages due to traditional recovery methods becoming obsolete. Tellurium is a chemical element with symbol Te and atomic number 52. It is a brittle, rare, silver-white metalloid. It is extremely rare in the Earth’s crust, comparable to that of platinum. 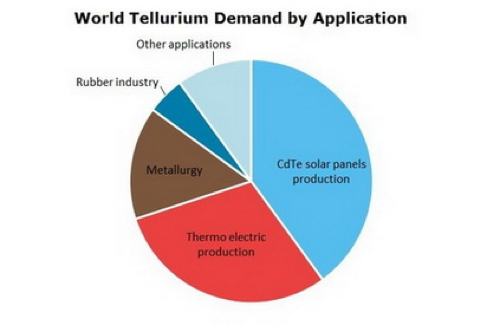 The U.S. Geological Survey Fact Sheet, Tellurium —The Bright Future of Solar Energy explains that tellurium’s primary use is for manufacturing films essential to thin film photovoltaic solar cells. When alloyed with other elements such as cadmium, tellurium forms a compound that exhibits enhanced electrical conductivity. A thin film can efficiently absorb sunlight and convert it into electricity. The past decade has seen an explosive growth in the production of thin film solar panels. According to Global Market Insights, thin film cadmium telluride solar panel production which today accounts for 40% of Tellurium consumption is expected to grow from $8 billion in 2016 to over $30 billion by 2024. 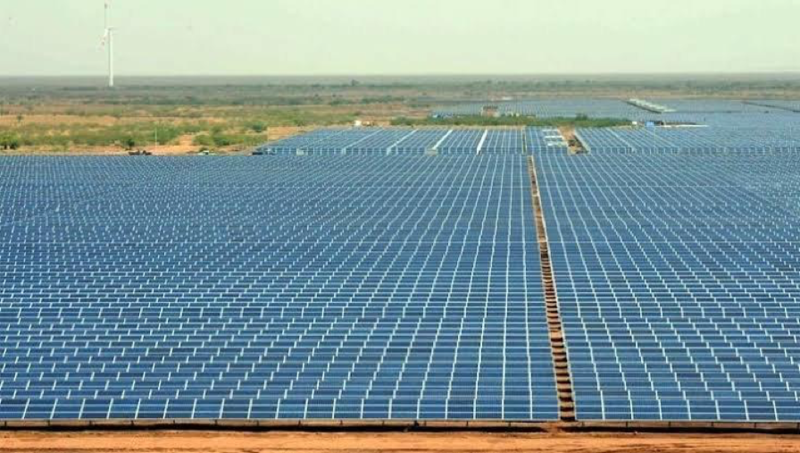 At present there are dozens of large-scale solar farms built or underway throughout the world. These massive solar farms mainly utilize advanced thin film cadmium telluride technology. In addition, many corporations, institutions, schools and universities are building solar arrays. In addition to its burgeoning use in the solar power industry and its metallurgical applications with copper and stainless steel, Tellurium is finding new uses in the semi-conductor industry for example in the new phase change memory chips developed by Intel. David Martin, PGeo, a qualified person as defined by National Instrument 43-101 and consultant for GGX Gold, is responsible for the technical information contained in this news release. This News Release may contain forward-looking statements including but not limited to comments regarding the acquisition of certain mineral claims. Forward-looking statements address future events and conditions and therefore involve inherent risks and uncertainties. Actual results may differ materially from those currently anticipated in such statements and Revolver undertakes no obligation to update such statements, except as required by law. Forward-looking statements are based on the then-current expectations, beliefs, assumptions, estimates and forecasts about the business and the industry and markets in which the Company operates, including that: the current price of and demand for minerals being targeted by the Company will be sustained or will improve; the Company will be able to obtain required exploration licences and other permits; general business and economic conditions will not change in a material adverse manner; financing will be available if and when needed on reasonable terms; the Company will not experience any material accident; and the Company will be able to identify and acquire additional mineral interests on reasonable terms or at all. Forward-looking statements are not guarantees of future performance and involve risks, uncertainties and assumptions which are difficult to predict. Investors are cautioned that all forward-looking statements involve risks and uncertainties, including: that resource exploration and development is a speculative business; that environmental laws and regulations may become more onerous; that the Company may not be able to raise additional funds when necessary; fluctuations in currency exchange rates; fluctuating prices of commodities; operating hazards and risks; competition; potential inability to find suitable acquisition opportunities and/or complete the same; and other risks and uncertainties listed in the Company’s public filings. These risks, as well as others, could cause actual results and events to vary significantly. Accordingly, readers should not place undue reliance on forward-looking statements and information, which are qualified in their entirety by this cautionary statement. There can be no assurance that forward-looking information, or the material factors or assumptions used to develop such forward looking information, will prove to be accurate. The Company does not undertake any obligations to release publicly any revisions for updating any voluntary forward-looking statements, except as required by applicable securities law.